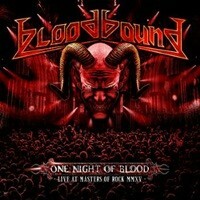 Ever-evolving from a traditional/classic power stance during their beginnings and now incorporating some bombastic, symphonic, and orchestral flourishes, Bloodbound have steadily ascended to the heads and hearts of global metal fans because of a regular record/tour release schedule. Previously releasing seven studio albums and a live record from 2005-2017, it’s no surprise that their eighth album Rise of the Dragon Empire keeps the flame bright for the sextet in terms of creativity and explosive execution. What one wonders is at this point in the game, are these gentlemen putting enough fresh twists in the mix to keep fervent interest – or are they phoning in tried and true elements to pacify the establishment and not rock the boat so to speak? 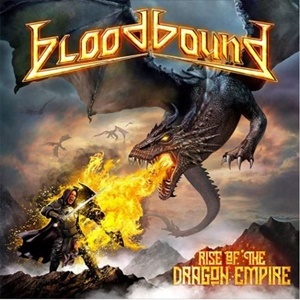 A continuation of War of Dragons certainly with lyrical themes touching on fantasy, warriors, and dragons again, there seems to be a prevalent emphasis on choir / rejoiceful activities not just in the choruses but often during the verses – “Skyriders and Stormbringers” a steadfast mid-tempo effort that sits on an Edguy meets Hammerfall angle. Layers of keyboard passages in the musical hooks and orchestration end occasionally dominate the guitar activities – almost to a resplendent Sabaton-level for “Blackwater Bay”, where the listener imagines thousands of unison voices joining the comfortable back and forth vocal action. 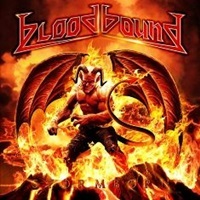 Bloodbound are at their best when spitting out slightly faster tempos where the charging guitars, twin-lead breaks, and spirited rhythm section fills deliver some dynamic exhilaration – “Giants of Heaven” and “Balerion” two headbanging numbers that stoke the embers for power mavens. The closer “Reign of Fire” opens with a water stream and Nordic/folk aspects, giving Patrik Johansson a chance to unfurl the verses in a quieter, unassuming manner before rising to his higher range for the chorus. 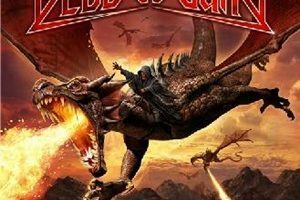 While not necessarily a bad album, Rise of the Dragon Empire has the feel of a band with one foot in the past and another attempting to go for another audience – yet not exactly executing at the highest mark for the genre-blend of the two. 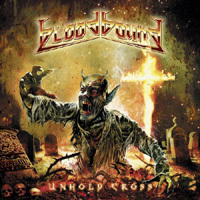 Much like War of Dragons, it’s not the Bloodbound this scribe has come to appreciate for records like Nosferatu or Unholy Cross – which probably means less airplay in the rotation when needing my fix for the group.